Just wanted to a giant THANK YOU to all those who had me at their shows in 2018 and for all those who supported me and my art at them. Here are just a few of the advertisements for some of the shows I ventured to this year. It's always humbling when people spend their hard earned income at my table everywhere I go and I will always be eternally grateful. And as we move on to 2019--my first show will be in Asbury Park, New Jersey at the Super Shock Show! For more information checkout supershockshow.com. So come on out, have some fun, talk nerdy to me, and we'll have a great time! Thanks again for everything 2018 and here we go 2019! Thank you so much for everyone who came out and supported me and the great artists out at Camden Comic Con the past weekend! It was such an awesome time to talk comics and art and everything in between. Also a huge thanks to those who came out the the Making Comics Panel! It's always great to get the future generation of artists inspired and ready to make their own comics. You cannot ask for two better show runners in Bill Haas and Miranda Powell, so thank you for always making it a great experience! I will have a list of upcoming dates soon! 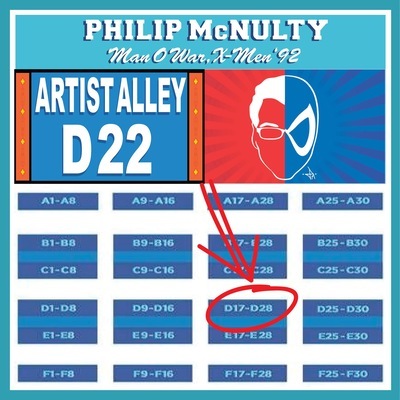 My next appearance will be on FCBD on May 5th! So be on the Lookout for new updates! Hello! And what is up everyone?! Long time no see (or post)! Sometimes as artists between projects and commissions and shows and deadlines, the social media side of the job falls to the wayside. So one of my promises is to spend a bit more time on this here website as well as updating my twitter (@animatedphil) and facebook (https://www.facebook.com/animatedphilart) and instagram (animatedphil). So check each tab as you please and I'll be updating my print gallery and other design work. Thanks for all love and support peeps! Thank you Wizard World Philadelphia! 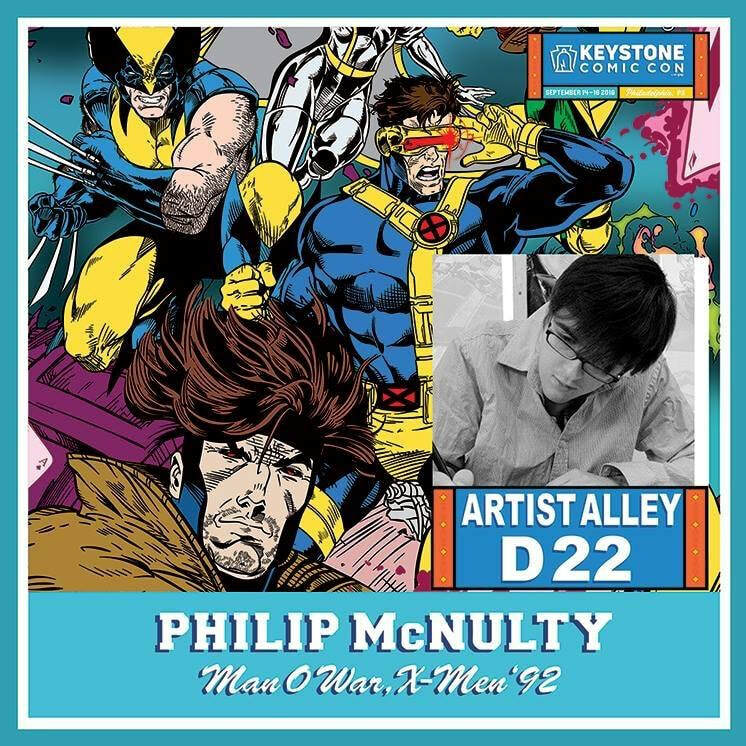 Just wanted to give a big shout out to all those who came out to support me and my artwork at Wizard World Philadelphia! Or as I like to say, "From red heads to web heads!" Words cannot express how grateful I am. To work on commissions throughout the entire weekend, to selling prints to so many, to WWE Superstar Sheamus stopping and grabbing a Venom print off me (still fanboying out here. He is absolutely one of my favorites of the modern era of wrestling), to even Scarlet Spider himself grabbing a self portrait I did of him. And. To all the other Scarlet Spiders who came out and bought a Ben Reilly print! It makes me so happy to see how they said it's how he should be drawn (Hey Marvel. I know a creative team that would do him justice. 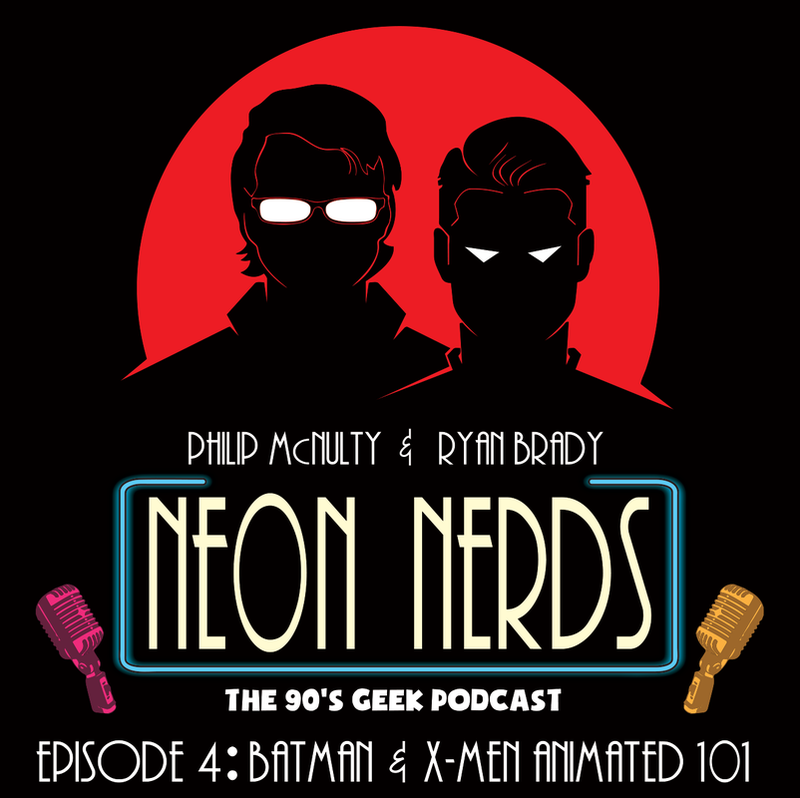 And they run the Neon Nerds Podcast). And I am truly humbled by all those who said I was the best artist there. What an amazing and geeky and fun and busy weekend. Thank you all! Thank you, Camden Comic Con! Hello Everyone! With one of the busiest weekends ever, I just wanted to thank the Camden Comic Con for having me and what a wonderful experience it was! I cannot thank everyone who came out and supported my art. Whether it be buying and scooping up some prints or ordering a pre show commission or even ordering a commission there at the show! It's always such and honor. I also treated myself at the convention. I met one my personal heroes. The creator of Gambit himself, Mr. Chris Claremont. He was awesome enough to sign the sketch cover of Gambit that I did for myself and he told me I draw a great Gambit. I could have fainted. Also, a huge thank you to Bill Haas and Miranda Powell who run the show and the panels. There is no greater convention in the tri sate area! and my brother from another mother, Ryan Brady and I killed it at our Making Comics Panel. What an awesome time we had. And for those who didn't make it, I will be posting my appearances soon! But for now, here is a look at some pre show commissions and Pics from the show. Camden Comic Con this Saturday! Long time no see. Well. Maybe see. But definitely a long time. I am getting back into the swing of things here as convention season is around the corner! I have been on a bit of a break as I was a teaching artist for Rutgers University from February to March. And still being able to push out a ton of commissions and starting on some new prints...speaking of which...the debut of Iron Fist and Power Man this Saturday at the Camden Comic Con! As well as Venom and Black Panther! Iron Fist, as you all might know, is one of my favorite comic characters ever. Top 3 in fact. So it was awesome that so many have requested him and here he is! Tomorrow I will be posting details of my raffle for a Deadpool! So much more on the horizon! Little look into some commission work upcoming! Today is a very special day today! 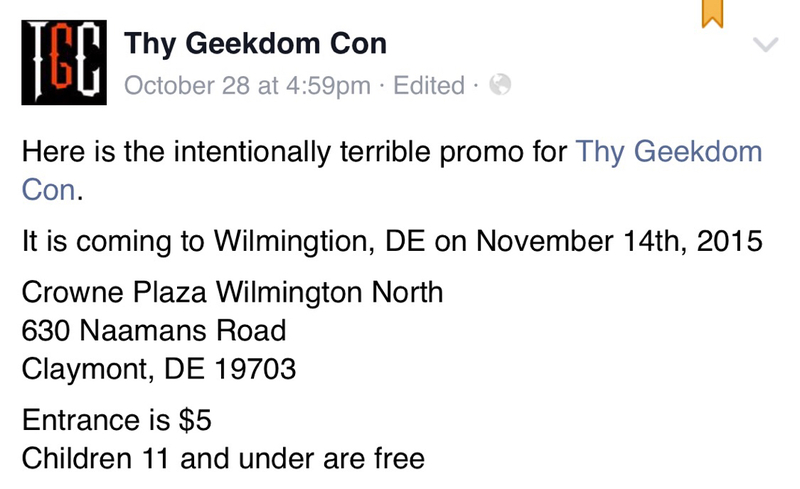 In the Delaware area? Well come on out to Thy Geekdom Con! 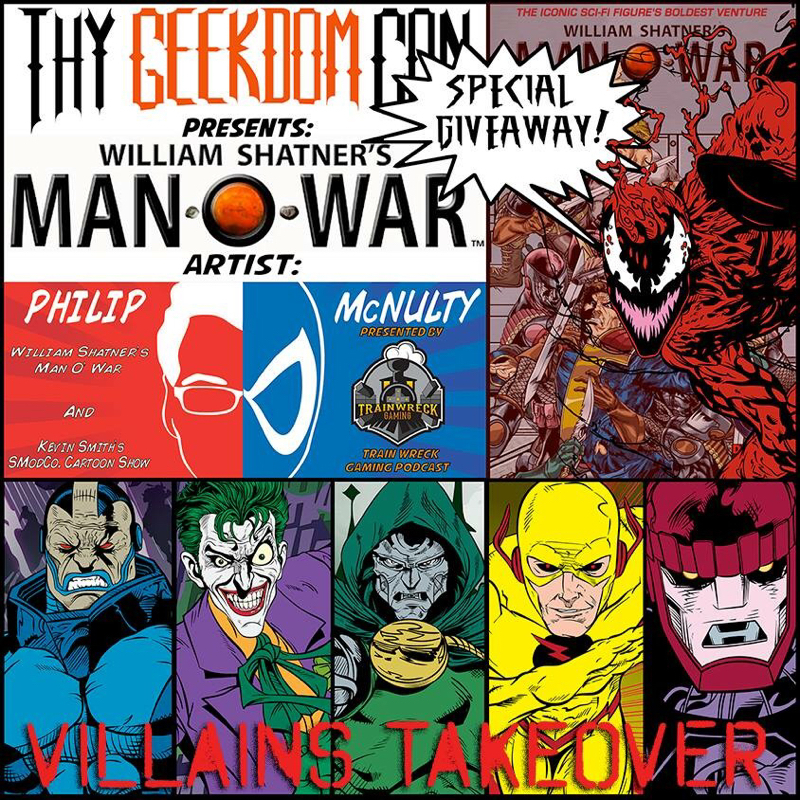 I&apos;m welcoming all to join me at my Shatner&apos;s MAN O&apos; WAR artist Philip McNulty Panel presented by Train Wreck Gaming Podcast from 12-12:50 on Stage 1! There will be a special giveaway for one special attendee at the panel! It is also a villains takeover at my table where I introduce new villains to my prints collection! Maybe they might just go hand-in-hand.... So come down and join the fun as me and my buds from Trainwreck rock the house.